Creating your own APIs can be a total nightmare: worrying about uptime, load balancing, data accuracy, caching, and all of the other risks would keep me up at night. And if your API relates to money in any way? If you get that wrong you could be costing yourself, your employer, or your client a ton of money. I've been playing around with OpenRates lately and it's been really simple to use. Let's have a look! APIs should be simple, secure, and reliable, and OpenRates certainly fits that bill. Not needing an API key is nice, and the data structure returned is ultra simple. 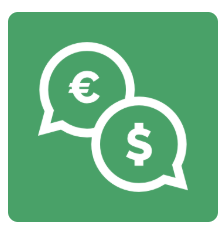 Give OpenRates a look if you need accurate, reliable currency information!